Computer technology has had and will continue to have a considerable impact on the way in which business is carried out. Furthermore, computer systems are now providing new ways of working, rather than just automating existing processes. They are also providing new ways of doing business with the outside world. The role of Information Systems (IS) in the current business world is unimaginable. An information system performs functions to help an organization meet its objectives (Dewitz, 1996). Information systems aid it’s users to take fast, effective decisions in their daily business scenario. A well built information system can maximize the efficiency of any given task. The success of an information system depends on how well the business process has been analyzed and requirement specifications chartered, and overall designing and implementation has made based on the user’s needs. This report is prepared as a requirement for internship program of the major Business Informatics (BIN – 499) of Independent University, Bangladesh. The report assigned by the academic supervisor Ms. Ishrat Jahan Quader, Lecturer of School of Communication, IUB and approved by the organization supervisor Mr. Tahsin Ashraf, Relationship Officer of Corporate Banking, HSBC. The work on this report was carried out as an Internship program at The Hongkong and Shanghai Banking Corporation Limited, 1/1 – B, Sonargaon Road, Dhaka in the Corporate Banking segment under the Large Local Corporate Team. The internship was completed over a 3 months period between June and September 2004. The main objective of the project is to computerize the letter of credit (import – L/C) process of the bank. To develop a L/C tracking system which will reside a database consisting to all the information related to L/C’s. It will also enable the users to view the current position of processing L/C’s. To materialize the objective, formal methods of system development process will be followed. If the proposed L/C tracking system can be implemented successfully, it will eradicate the huge manual filing system. It will help management to assist in taking fast decisions, satisfy queries regarding L/C’s and overall bring pace in the trade services provided by the bank. This project scope is limited with some constraints. Time limit is not sufficient to conduct a project of this kind. For this reason object oriented methodology cannot be performed to analyze the system. The security requirements for a standard database are limited for this project as Microsoft Access 2003 is used for the proposed system. Due to licensing constraint and financial feasibility reasons more powerful database packages like Oracle or Microsoft SQL Server could not be considered. Methodology refers to a collection of procedures, techniques, tools and documentations aids which helps systems developers in their efforts to develop and implement the proposed system. System design is the key phase within the system development cycle. It consist of devising specifications for an information system (IS) that best fit a firm’s current and expected circumstances (Wilkinson. J.W & Cerullo. M.J, 1997). The design may involve an improvement to an existing IS or may pertain to the initial IS for a new firm. I have collected primary information from employees, Relationship managers (RM), Relationship Officer (RO), respective unit heads and officers were interviewed regarding many issues of the system of HSBC. All data may be obtained through secondary sources such as office memo, operating manuals, circulation and publications used by the HSBC in this regard. Sample is collected from the corporate clients of HSBC Bank. For the organization part, information has been collected through different published articles, journal, and brochures. Formal questionnaire for data collection is not used. Information is collected through informal discussions with Relationship managers, officers & respective Unit heads of HSBC. HSBC bank currently manages all the L/C related information manually. A manual system usually consists of huge filings, which takes wastes valuable time in decision making. This automated L/C tracking system will assist it’s user to show the current L/C positions, provide queries related to L/C’s, and store important information regarding different parties of the trade. The successful implementation will help the management enormously in their everyday job at the trade service department. Banking institutions plays a vital role international trade. International trade is an exchange of goods between a buyer (importer) and a seller (exporter) for a pre-determined price. All export and import are executed through banks. In HSBC bank the international trade is handled by trade service department or briefly called as a pet name HTV (HSBC Trade Services) through out the bank all over the world. In HSBC bank letter of credit or (L/C) credit is called Documentary Credit or DC. In this literature review chapter DC will be used as a synonym of letter of credit or L/C. The following literature is relevant to this report as it helps to better understand the different types of DC’s, parties involved and steps performed in imports. Expressed mire fully, it is a conditional Undertaking given by bank [Issuing Bank] at the request of a customer [Applicant] or on its own behalf to pay a seller [Beneficiary] against stipulated documents provided all the terms and conditions of the Credit is complied with. These stipulated documents are likely to include those required for commercial, regulatory, insurance or transport purposes such as commercial invoice, certificate of origin, insurance policy or certificate and a transport document of a type appropriate to the mode [s] of transport used. Documentary credits offer both parties to a transaction a degree of security, combined with possibility, for creditworthy party, of securing financial assistance more easily. 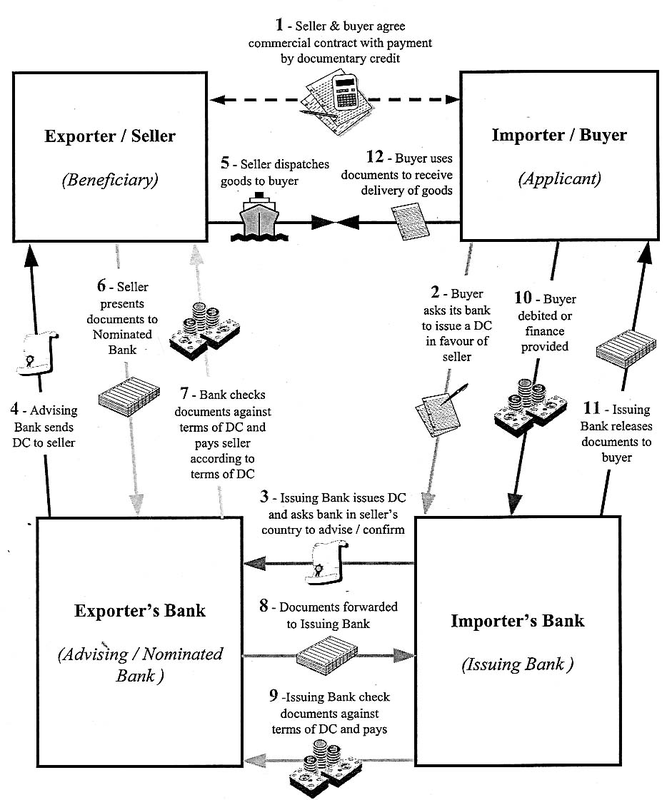 ■ Are arrangements by banks for settling international commercial transactions. ■ Provide a form of security for the parties’ involved. ■ Ensure payment provided that the terms and conditions of the credit have been fulfilled. A revocable credit can be modified or cancelled by the issuing bank at any time even after shipment provided no payment has been made with or without notice to the seller. A credit is taken to be revocable if it does not expressly state that it has been irrevocably opened. Since this type of letter of credit can be cancelled at any time, is very risky to the seller. An irrevocable credit constitutes a definite undertaking of the issuing bank, provided that the terms and conditions of the credit are complied with. The irrevocable, unconfirmed credit is a commonly used type of documentary credit. Once this commitment has been entered into, the bank cannot decline responsibility without the agreement of the beneficiary as in the case of a revocable credit. An irrevocable credit can also be confirmed. Whenever the Advising Bank/Issuing Bank’s Agent adds its own confirmation to the credit is called a Confirmed Irrevocable Letter of Credit. Otherwise, it is to be treated as unconfirmed L/C. Here the beneficiary not only has the undertaking of the Issuing Bank abroad but also that of a Bank in his own country and is of value if the Issuing Bank’s standing is doubtful, the confirmed credit offers a very high degree of security for the exporter. When the payment terms stipulate the presentation of sight draft, the beneficiary (the seller) receives the proceeds of the credit upon presentation and examination of the documents. The negotiating bank after making payment to the exporter sends the documents to issuing bank. After determining that the documents are in order, the issuing bank delivers them to the buyer and at the same time debits the buyer’s account, which offsets reimbursements to the seller’s bank. In case of acceptance credit the exporter draws a time draft either on the issuing or confirming bank or on the buyer or on another bank depending upon the credit terms. The payment date may be for example 90 days after the invoice date or the date of transport documents. When the documents are presented the draft is accepted instead of payment being made. The credit with deferred payment differs slightly in its effect on the beneficiary from the time draft. The main difference is the lack of a draft. Upon presentation of the proper documents, the bank so authorized issues a written promise to make payment on the due date. Term credits i.e. acceptance credits and deferred payment credits are financing instruments for the buyer. During the payment period, the buyer can often sell the goods and pay the credit amount with the proceeds. Some letters of credit provide for advance payment of a portion of the credit prior to compliance with all the credit provisions. The purpose of this advance is to give the exporter, the fluids necessary to purchase or process merchandise especially for the buyer. Two typical arrangements deserve mention. Under this type of L/C, the beneficiary is permitted to transfer his rights in part or in full to another party. In some cases the seller is not the actual producer or manufacturer of the goods. In such cases the original beneficiary request for a transferable credit. The issuing bank can transfer a credit only if it is expressly designated a “transferable”. A transferable credit can be transferred once only. The Standby Letter of Credit is very similar in nature to a guarantee. The beneficiary can claim payment in the event that the principal does not comply with its obligation to the beneficiary. Payment can usually be realized against presentation of a sight draft and written statement that the principal has failed to fulfill his obligations. – Undertake payment of invoices made on open account. One credit backs another. It may so happen that the beneficiary/ seller of an L/C is unable to supply the goods direct as specified in the Credit as a result of which he need to purchase the same and make payment to another supplier by opening a second Letter of Credit. In this case, the second Credit called to “Back to Back Credit”. These concepts involve opening of credit on the strength of first credit i.e., mother L/C opened by foreign importers. Under Back-to-Back concept, the mother L/C stands as security for opening of second credit i.e., Back to Back Credit. The beneficiary/seller of the first credit as applicant of the second credit remains responsible to the bank for payment whether payment against first credit is made or not. Back-to-Back Credit is opened in conformity to the terms and conditions as stipulated in mother credit expect the price of the goods. Shipment period and vanity of Back-to-Back Credit the negotiated price is quoted. The shipment period and vanity of Back-to-Back Credit are given earner than the original vanity as stipulated in the mother L/C that helps the seller of the first credit to substitute his drafts, commercial invoices and other documents, if any with that drawn by the seller of Back-to-Back Credit. The handling of a “Back-to-Back” credit is similar to a transferable one. If the original L/C allows partial shipment, several back-to-back letters of credit may be issued against it. There are two types of Back-to-Back L/C viz. Inland and Foreign. Inland Back-to-Back L/C is opened on account of intermediary local buyers who process the goods from local mills/traders for ultimate export. Foreign Back-to-Back L/C is established in our country in the field of Garments Industry against or on the basis of a Foreign Export L/C for import of raw materials from foreign countries for execution of the relative export order. The purchaser of the goods is called importer. Once the buyer and the seller have agreed to the sales transactions, it is the buyers’ responsibility to initiate the opening of the letter of credit. The Bank which at the request of his customer (importer) opens a Letter of Credit is named as Issuing Bank. The Issuing Bank is the buyer’s bank/opening bank of the credit. The supplier of the goods is called as seller or exporter or the beneficiary. The seller after shipping the goods as per terms of the credit presents the documents to the negotiating bank. It is the correspondent bank of the issuing bank of the credit through which the credit issued by the opening bank is advised at seller’s country. Advising bank may also be a negotiating bank. The bank who negotiates/purchases/discounts the documents tendered by the exporter as per terms of the credit is known as negotiating bank. Performing the same service as an Advising bank, the confirming bank, in addition, becomes liable to pay for documents in conformity with the letter of credit’s terms and conditions. A bank that (as specified in the letter of credit) accepts time usance drafts on behalf of the importer is called an accepting bank. The accepting bank can also be the issuing bank. The bank that affects payment to the beneficiary (as named in the letter of credit) is known as Paying Bank/ Drawee Bank. If the Issuing Bank does not maintain any account with a bank that will be negotiating documents under a L/C, then arrangement is made to reimburse the Negotiating Bank for the amount to be paid under a credit from some other bank with whom the Issuing Bank maintains his account. The latter bank is termed as Reimbursing Bank. 2. Signing purchase contract with the seller. 4. The issuing bank opens/ issues the L/C in accordance with the instruction/ request of the importer and request another bank (advising bank) located in seller’s /exporter’s country to advise the L’C to the beneficiary. The issuing may also request the advising bank to confirm the credit, if necessary. 5. The advising bank advises/informs the seller that the L/C has been issued. 6. As soon as the exporter/seller receives the L/C and is satisfied that he can meet L/C terms and conditions, he is in a position to make shipment of the goods. 7. After making shipment of goods in favor of the importer the exporter/s submits the documents to the negotiating bank for negotiation. 9. After receiving the documents the L/C issuing bank also examines the document and if found o.k. and makes payment to the negotiating bank. If the proposed L/C tracking system can be implemented successfully, it will eradicate the huge manual filing system. It will help management to assist to take fast decisions, satisfy queries regarding L/C’s and overall bring pace in the trade services provided by the bank. Headquartered in London, HSBC Holdings place is one of the largest banking and financial services organizations in the world. It began operations in Hong Kong more than 130 years ago. The HSBC Group’s international network comprises some 7,000 offices in 80 countries and territories in Europe, the Asia-Pacific region, the Americas, the Middle East and Africa. Through a global network linked by advanced technology, including a rapidly growing e-commerce capability, HSBC provides a comprehensive range of financial services personal, commercial, corporate, investment and private banking; trade services; cash management; treasury and capital markets services; insurance; consumer and business finance; pension and investment fund management; trustee services; and securities and custody services. Assets US $ 746,335 million at 30 June 2002. Staff Some 170,000 employees in 81 countries and territories. Share listings HSBC Holdings is listed on the London, Hong Kong, New York, and Paris stock exchanges. Trading of the company’s shares on the stock exchanges is conducted in London, Hong Kong and Paris in the US$ 0.50 ordinary shares, and in New York in the form of American Depository Shares, each of which represents five ordinary shares. Technology HSBC maintains one of the world’s largest private data communication networks and is reconfiguring its business for the e-age. Its rapidly growing e-commerce capability includes the use of the Internet, PC banking over a private network, interactive TV, and fixed and mobile telephones. Product range Personal, commercial, corporate, investment and private banking; trade services; cash management; treasury and capital market services; insurance; consumer and business finance; pension and investment fund management; trustee services; and securities and custody services. The HSBC Asia Pacific group represents HSBC in Bangladesh. HSBC opened it’s first branch in Dhaka in 17th December, 1996 to provide personal banking services, trade and corporate services, and custody services. The Bank was awarded ISO9002 accreditation for its personal and business banking services, which cover trade services, securities and safe custody, corporate banking, Hexagon (For more details See “Appendix C”) and all personal banking. This ISO9002 designation is the first of its kind for a bank in Bangladesh. The Hong Kong and Shanghai Banking Corporation Bangladesh Ltd. primarily limited its operations to help garments industry and to commercial banking. Latter, it is extended to pharmaceuticals, jute and consumer products. Other services include cash management, treasury, securities, and custodial service. Realizing the huge potential and growth in person banking industry in Bangladesh, HSBC extended it’s operation to the personal banking sector in Bangladesh and within a very short span of time it was able to build up a huge client base. Extending its operation further, HSBC opened a branch at Chittagong, two branch offices at Dhaka (Gulshan and Mothijheel) and an offshore banking unit on November’1998. Another branch has been opened at Dhanmondi on 1st of March, 2003. At 28th February 2003, the number of employees of this bank in Bangladesh was 175. Nature of the organization Multinational company with subsidiary group in Bangladesh. Products Savings & deposit services. Loan products. Corporate and Institutional services. Technology Offers full online banking from branch to branch and also from Dhaka to Chittagong. Customers Serves individual and corporate customers within Dhaka & Chittagong. 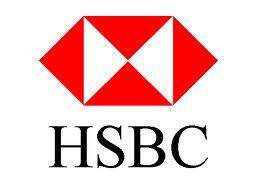 HSBC, Bangladesh is one such company that has to overcome a lot of hurdles to reach the position it now holds. At present, Mr. David Griffith is the CEO; Mr. Adil Islam is the chief of Corporate Banking; Mr. Adnan Wahed is COO, Mr. Mamoon Mahmud Shah is the Chief of Personal Banking, and Mr. Syed Akhtar Hossain is the Human Resource Manager at HSBC Bangladesh. These five men at the top carried out their management roles exhaustively. They equally contributed to HSBC’s superior leadership, by carrying out their unique roles. They worked well together, respecting each other’s abilities, & arguing openly & without any rancour when they disagreed. To maintain a close touch with the organization each man works in separate area of HSBC’s complex. Their offices are indistinguishable from all other cubicles where HSBC’s junior executives & secretaries work in. There are no office walls in HSBC and all the staff starting from the CEO to the lower operating level employee shares the same premises under one roof. There are no specialized cabins for top management and executives and also no executive dining rooms. This has created a management team that is unified, cohesive & energetic. Figure 2.1: Four layer management philosophy of HSBC. HSBC follows a 4 layer management philosophy in Bangladesh. These are Managers, Executives, officers & Assistant officers. The CEO is the top most authority of all the levels. Managers are the departmental heads who are responsible for the activities of their departments. They are the heads of the department and formulate strategies for that department. e.g. Human Resources Manger. Executives have the authority next to managers. They are basically responsible for certain activities & organizational functions. e.g. Admin Executive. These two layers represent the management level of HSBC Bangladesh. 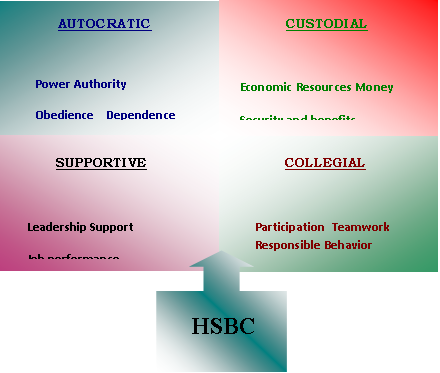 The organizational structure of HSBC Bangladesh is designed according to the various service and functional departments. The Chief Executive Officer (CEO) heads the chief executive committee, which decides on all the strategic aspect of HSBC. The CEO is the person who supervises the heads of all the departments and also is the ultimate authority of HSBC Bangladesh. He is responsible for the all the activities of HSBC Bangladesh and all its consequences. He administers all the functional departments and communicates with the department heads for smooth functioning of the organization. The HSBC Chief Executive Committee is formed with the heads of all departments along with the CEO. The structure of this top-most authority is shown in the following figure. Besides the CEO the CEC is staffed with 6 more managers Manager of Human Resources, Manager of Services, Manager of Financial Control Department, Chief of Personal Banking, Chief of Corporate Banking and Manager of Marketing. A Methodology is a systematic description of the sequence of activities required to solve a problem. It provides a collection of procedures, techniques, tools and documentations aids which helps systems developers in their efforts to develop and implementation of the proposed system (Wilkinson & Cerullo, 1996). In this project Systems Approach Method has been used. The systems approach is a problem-solving method that breaks a complex problem into pieces, designs a solution for each piece, and then integrates the solution into a complete system (Dewitz, 1996). As applied to information systems, the systems approach decomposes a system into subsystems and with its environments. The systems approach recognizes two major activities analysis and design. Systems analysis is the process of studying an existing system – whether manual or automated – and its’ environment. The purposes of analysis are to understand the components and functions of the current system, to identify the organization’s information and processing needs, and to determine the characteristics of a new system to meet these needs (Dewitz, 1996). In the System Analysis phase, Preliminary Investigation (establishing the project charter), Problem Analysis (studying the existing system), Requirement Analysis (identifying the information needs and what the new system should perform) and Feasibility Study (determining whether the system is feasible for the proposed system) will be performed. System design is the key phase within the system development cycle. It consist of devising specifications for an information system (IS) that best fit a firm’s current and expected circumstances (Wilkinson. J.W & Cerullo. M.J, 1997). The design may involve an improvement to an existing IS or may pertain to the initial IS for a new firm. Wilkinson & Cerullo 1997 stated, systems design as, Reassembling the components and functions of the IS to satisfy the organization’s information needs most effectively and efficiently. System design is based on process modeling and data modeling. In the process-modeling phase, the Data Flow Diagram (DFD) has been used to analyze the system. Project DFD is based on Gene and Sarson’s (1979) method. In the data-modeling phase Entity Relationship Diagram (ERD) has been utilized. I also followed objects structure and behavior analysis (OS&BA) methodology. In this approach a system is decomposed into objects. This paradigm emphasizes the things that comprise the system and how these things acts and interrelate (Dewitz, 1996). Here I used use case diagrams to analyze the current systems. First, the business objects that comprise of the system are identified in terms of its attributes, methods and relationship to other classes. This specification of object class is the foundation of object-oriented systems development (OOSD) paradigm. These mentioned two systems development paradigm adopt different perspective to decompose a system. Traditional systems development (TSD) paradigm adopts different perspective to decompose a system. TSD focuses on what the a system does, that is, on the verbs that describes a system; OOSD focuses on what the system is made of, that is, on the nouns that describe the system. Simply stated, TSD is concerned with functions performed on data; OOSD is concerned with objects performing functions. Although one paradigm seems to be the inverse of the other, they are similar in that both are concerned with software and data. Whereas TSD separates the software and data components, OOSD combines data and software into a single construct, an object class. In a way they are complementary of each other with an objective to analyze the system and designing it. As the researcher’s goal is to build a L/C tracking system based on systems analysis and design, both the systems development methodology has been used to make the analysis more meaningful, accurate and efficient. In order to follow the process modeling, the following fact-finding techniques was used to build the system. To collect all the other related information the following techniques will be used. This is the most common method used in most system building to verify the new system design and to gather facts about the procedure(Dewitz,1996). As it is not possible to interview all the members of the Trade department, and also not convenient; Informal interview sessions with the manger and officers of trade services department were held to gather information of the current work procedures of the manual system. As part of the requirement analysis, some documents related to L/C’s have been reviewed. Typical reviewed documents includes LC form, Import Registration Certificate (IRC), Letter of credit authorization form (LCA), pro-forma invoice etc. As an intern of HSBC corporate department the researcher has used his experience and knowledge and understanding of the current system (manual) in the system development process to build the new proposed system.